SACRAMENTO, Calif. /California Newswire/ — Today, Calif. 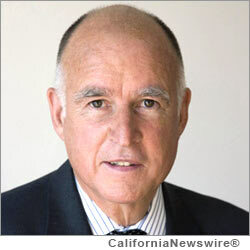 Governor Edmund G. Brown Jr. has announced the following appointments: First, Arthur Anderson Jr., 65, of Roseville, has been appointed to the Board of Parole Hearings, where he has served since 2008. Anderson has been a law enforcement consultant at the National Highway Traffic Safety Administration since 2000. Anderson served in multiple positions at the California Highway Patrol from 1999 to 2007 and from 1974 to 1992, including assistant commissioner for field operations, chief of the valley division, chief of the professional standards division, assistant chief of the Golden Gate division, captain, lieutenant, sergeant and patrol officer. Anderson was director of the California Office of Traffic Safety from 1993 to 1999. He earned a Master of Public Administration degree from the University of San Francisco. This position requires Senate confirmation and the compensation is $111,845. Anderson is registered decline to state. Cynthia Fritz, 41, of San Ramon, has been reappointed to the Board of Parole Hearings, where she has served since 2011. Fritz was deputy commissioner at the Board of Parole Hearings from 2009 to 2011 and deputy attorney general at the California Department of Justice from 2007 to 2009. She was deputy attorney at the California Department of Transportation from 2000 to 2007 and held multiple positions at Whittall-Scherfee Law Office from 1997 to 1999, including associate attorney and law clerk. Fritz earned a Juris Doctor degree from the University of the Pacific, McGeorge School of Law. This position requires Senate confirmation and the compensation is $111,845. Fritz is a Republican. Pete Labahn, 57, of Laguna Beach, has been reappointed to the Board of Parole Hearings, where he has served since 2011 and previously served from 2009 to 2010. Labahn held multiple positions at the Riverside County Sheriff’s Department from 1983 to 2009, including assistant sheriff, chief deputy sheriff, captain, lieutenant, sergeant and deputy sheriff. He was a teacher and counselor at Palm Springs Unified School District from 1980 to 1983 and a graduate assistant at Atascadero State Hospital from 1977 to 1978. Labahn earned a Master of Arts degree in counseling psychology from the University of California, Santa Barbara. This position requires Senate confirmation and the compensation is $111,845. Labahn is a Democrat. Ali Zarrinnam, 38, of Encino, has been reappointed to the Board of Parole Hearings, where he has served since 2012. Zarrinnam held multiple positions at the Board of Parole Hearings from 2009 to 2011, including acting associate chief deputy commissioner and deputy commissioner. He was a panel attorney at the California Parole Advocacy Program from 2004 to 2009, partner at the Law Offices of Zarrinnam and Chakur from 2003 to 2007 and an attorney at Finnegan and Diba from 2002 to 2003. Zarrinnam earned a Juris Doctorate degree from Southwestern Law School. This position requires Senate confirmation and the compensation is $111,845. Zarrinnam is a Democrat. Newsha Ajami, 37, of San Francisco, has been appointed to the San Francisco Bay Regional Water Quality Control Board. Ajami has been senior research associate at the Pacific Institute since 2011. She was a California Council on Science and Technology policy fellow at the California Senate Natural Resources and Water Committee from 2010 to 2011 and a consultant at Berkeley Economic Consulting Inc. from 2007 to 2010. Ajami was a postdoctoral researcher at the University of California, Berkeley from 2005 to 2009. She earned a Doctor of Philosophy degree in civil and environmental engineering from the University of California, Irvine and a Master of Science degree in hydrology and water resources from the University of Arizona. This position requires Senate confirmation and the compensation is $100 per diem. Ajami is a Democrat. Kimberly Cox, 53, of Helendale, has been appointed to the Lahontan Regional Water Quality Control Board. Cox has been general manager at Helendale Community Services District since 2007. She was senior management analyst for the City of Victorville from 2003 to 2007 and a water resource specialist for the City of Hesperia from 1999 to 2003. Cox was a customer service representative at Roadway Express from 1991 to 1999. She earned a Master of Public Administration degree in water resource management from California State University, San Bernardino. This position requires Senate confirmation and the compensation is $100 per diem. Cox is a Republican. Stefanie Warren, 35, of San Diego, has been appointed to the San Diego Regional Water Quality Control Board. Warren has been an attorney at McKenna Long and Aldridge LLP since 2006. She was a law clerk for the Honorable Irma E. Gonzalez from 2005 to 2006. Warren earned a Juris Doctorate degree from Emory University, School of Law. This position requires Senate confirmation and the compensation is $100 per diem. Warren is a Democrat.